This caddy for tables has a spot for menus, sauce, salt and pepper, and other packaged condiments. It has an green evergreen tree design, which is great for the holidays or northern climates. This Caddy for Tables offers a functional way to organize your goods. 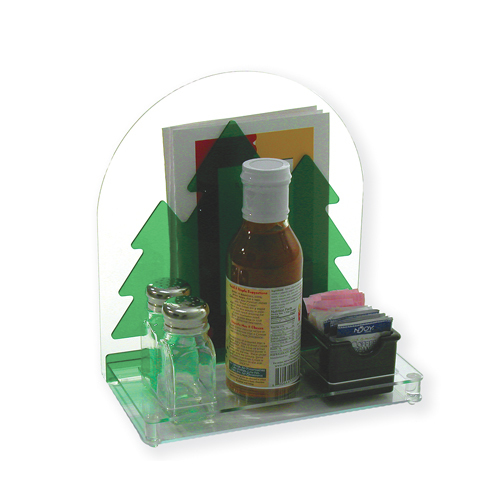 Constructed of clear Acrylic, this Countertop Food Service Dispenser is a surprisingly simple way to serve your customers. Buy Caddy for Tables now - Use our convenient shopping cart or give us a call and place your order with a knowledgeable service representative today!